“I have substituted a few cuts of equal size to some of those you marked. I hope it is all sensible and not too jumpy." Arthur Asher Miller, 1915-2005. American playwright and essayist. 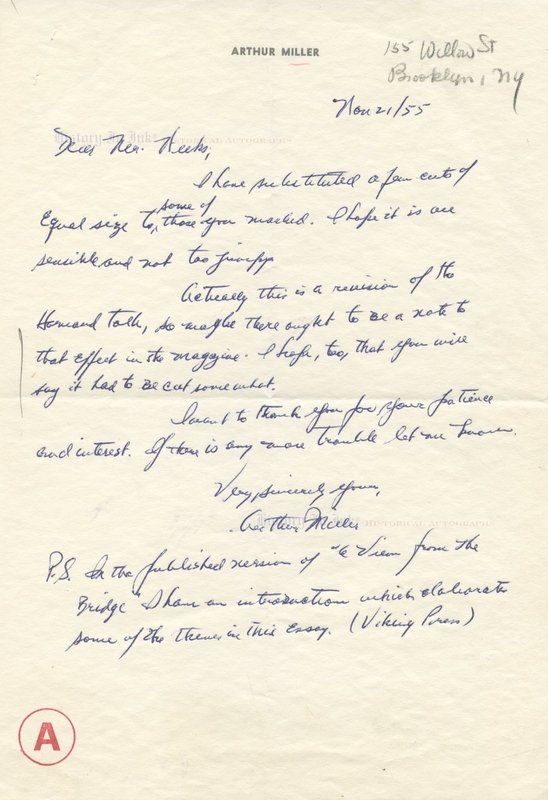 Autographed Letter Signed, Arthur Miller, one page, 7¼" x 10½", on imprinted personal stationery, no place [Brooklyn, New York], November 21, 1955. The letter refers to Miller's essay “The Family In Modern Drama,” which appeared in The Atlantic Monthly in April 1956. The essay was based on an address that Miller delivered at Harvard University in memory of poet and academic Theodore Spencer. The Pulitzer Prize-winning Miller was one of the most important figures of the American theatre. He wrote such classic dramas as All My Sons (1947), Death of a Salesman (1949), The Crucible (1953), and A View From the Bridge (1955-1956), which he mentions in this letter. By the time he died, he was considered one of the greatest dramatists of the Twentieth Century.  Miller has written and signed this letter in blue ballpoint. The letter has horizontal and vertical mailing folds, and the vertical one, which is not obtrusive, passes through the signature. It also has a pencil mark in the blank left margin, a pencil notation of Miller's address at the upper right, the recipient's red stamp at the lower right, and staple holes in the upper left blank area. Overall the letter is in fine condition.